Join Euan McIlwraith and Karen MacKenzie for the latest outdoor activities from Shetland to the Borders, plus the key stories for those who live and work in the countryside. Fiona Clark heads along to a Women in Agriculture Taskforce event to hear from Lindy Nelson, CEO of the New Zealand Agri-Women’s Development Trust. We all know to pick up after our dogs on paths and pavements but what about in fields? Euan finds out about the dangers posed to livestock by dog poo being left in the countryside. Karen MacKenzie hears what life is like for a real life woman in agriculture, farmer Sheena who runs a cattle farm near Glen Affric. 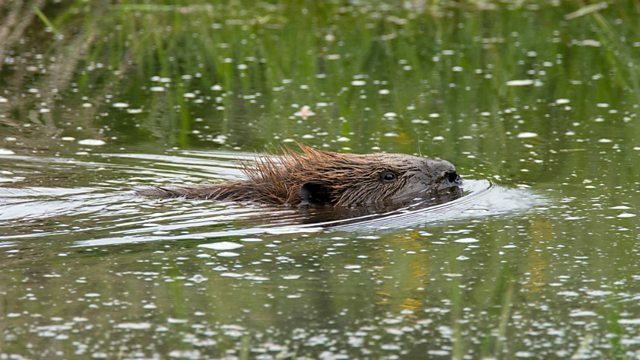 Euan reveals the extent of beavers in Tayside as the results of a Scottish Natural Heritage report are released. Karen is in the Clyde Valley, famous for its soft fruit and fruit trees, visiting Bothwell community garden and orchard. Ordnance Survey Maps are a must have for hillwalkers and those enjoying the outdoors but how are they made and who makes them? Euan meets an OS surveyor who tells us all you’ve ever needed to know about maps. It’s the time of year when thousands of pink-footed geese descend on Montrose. Karen goes to try and spot some. Laurie Campbell is one of Scotland's leading natural history and landscape photographers. He has a special relationship with Berwick upon Tweed which is where Karen Miller met him for a wander. Beaver dam on a Perthshire river. Beaver doing a spot of dam maintenance.